It’s a cliche. It’s a metaphor floating on a current. 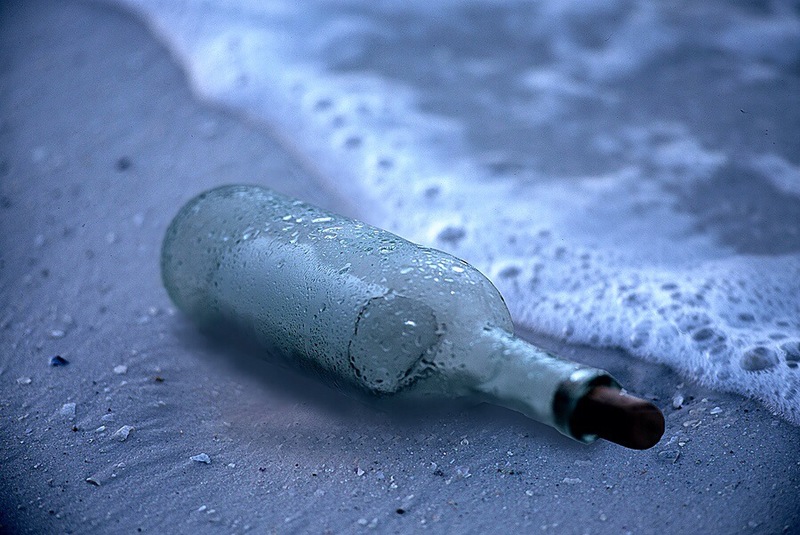 Wave after wave, bobbing on the foamy seas, a lonely bottle with a message inside. It is a song. It is one of the hits from iconic 80’s band The Police, entitled “Message in a bottle”. The song’s theme is nothing new. It is something that every person on earth has struggled with. Not being marooned on a deserted island, but the feelings of total and utter loneliness. Everyone has experienced these feelings of loneliness and solitude. It doesn’t take a deserted island to feel this way, it just happens sometimes. Perhaps it manifests itself through forms of depression. Other times loneliness happens at the intersections of choice. We find ourselves lonely even when in a crowded room. Loneliness creeps into the corners of the heart, weighing us down like an old roof on a buckled and bowing barn in an abandoned field. Eventually that barn is going to collapse. Eventually in this loneliness the roof caves in on us and we find ourselves casting these bottles into the seas so that someone, anyone might hear us and we will no longer be alone. Are you casting out messages in bottles today? Are you alone in your troubles? Does it seem like the roof has caved in on your life and has pressed you down and crushed you by these burdens? Take comfort, take courage, because you are NOT alone! God is near and He will never leave you alone. When you cry out to Him, He will answer you.